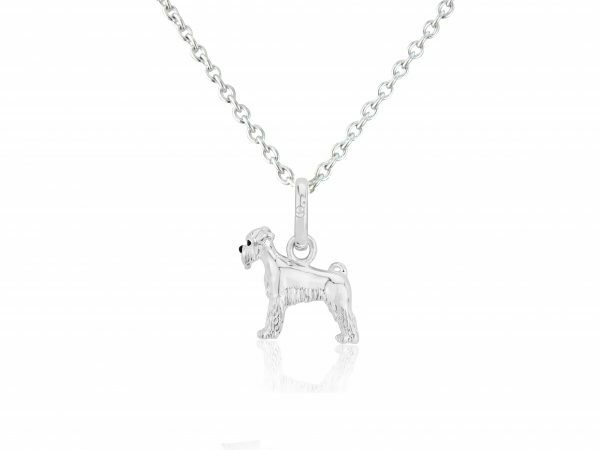 Anyone who has the pleasure to have a Schnauzer as part of their family will know that they are a highly intelligent and very energetic breed of dog, making them superb and entertaining companions. This pendant depicts their trademark beards and long feathery eyebrows. 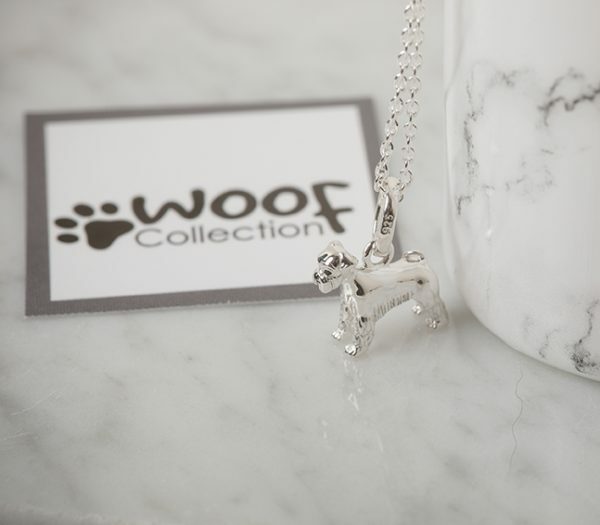 Crafted in sterling silver, pendant size 13mm x 13mm, choice of 3 lengths of adjustable silver chains. 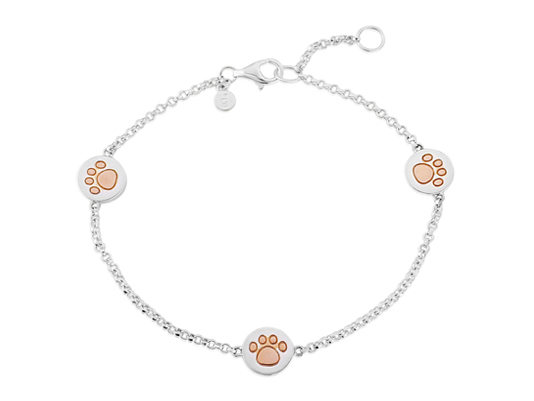 Paw Print Bracelet If you love your canine friends this very pretty rose gold and silver bracelet is the ideal piece of jewellery. 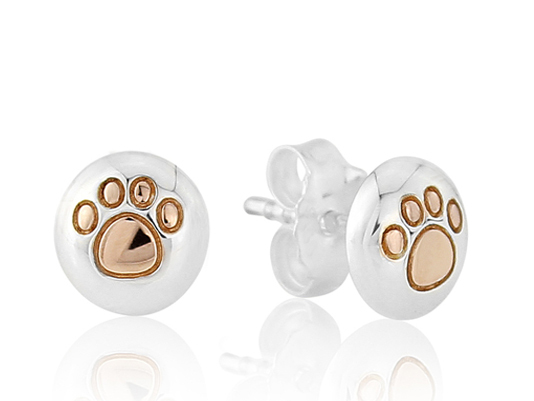 The silver discs shows shows a cute paw print design on each side created in rose gold vermeil. The diameter of the discs is 7mm , the bracelet is adjustable from 18cm to 20cm. Sterling silver with 14ct rose gold vermeil.